Every winter thousands of pipes, fixtures, and appliances freeze and burst because of inadequate heat or insulation. When a frozen pipe bursts, the result is extensive water damage. When water freezes at a temperature of 32ºF or below, it expands up to 10 percent in volume. Inside a pipe, that added internal pressure can cause bursting. Expanding ice can cause a pipe or fitting to crack, but the ice will block the flow of water while it is solid. In this case, the actual water damage will not be apparent until the ice melts and water flows out of the burst section. 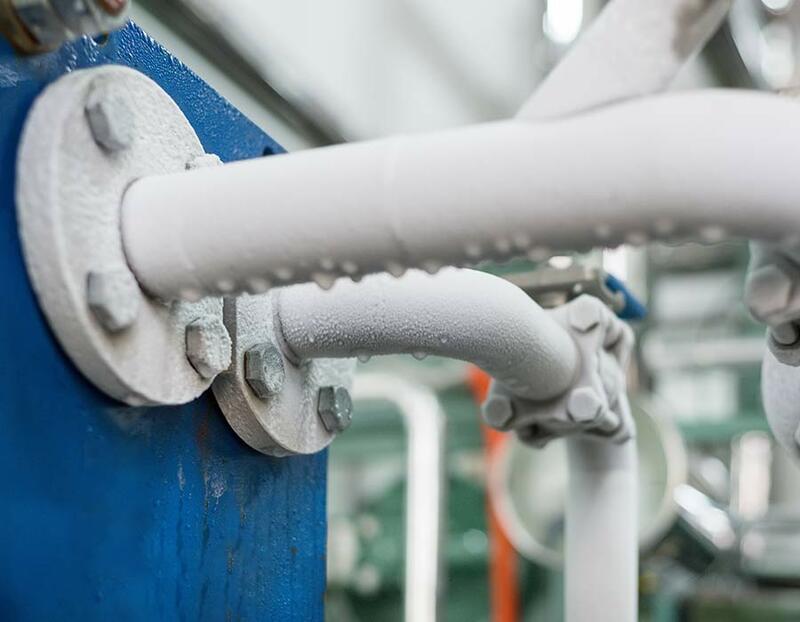 The best way to protect plumbing from freezing is to provide sufficient insulation and adequate heat during the colder winter months. In areas of severe cold weather, pay close attention to local weather reports for notice of extreme cold weather. Install a water leak detection system, available at your plumbing supply store, which will alert someone in your household if a water leak is detected. Additional information regarding winter weather and dealing with frozen plumbing can be found on the website for The Institute for Business & Home Safety (www.ibhs. org).